Onlive Server offers you affordable Sweden dedicated server hosting in Stockholm which is available for your all business class whether it is small or medium. It included lots of dedicated features like high bandwidth, server monitoring, data security and much more. For the facility of our customer, we have a choice of both Linux as well Windows operating system. For Linux, we have a choice of Ubuntu, CentOS and SUSE and for Windows, we have windows server with 2008 to 2016 and Custom operating system also. For better server performance we provide you our own data center nearby you so that you will get full network uptime as well our technical support team monitor your server all day and night. They are always available for you so during any server issue you can contact them anytime they will resolve your problem as possible as they can. Apart from that, we give you root access permission or full control with Sweden Dedicated Server so you can do any changes in it very easily. Due to its customizable feature, you can add or remove any software on your server according to your requirement. In any case, it is, most importantly, the help you require when you require it! A Dedicated day in and day out Customer Support. We are very dedicated towards our work and trust an ideal approach to acquire your trust. We always try to give you proven performance and reliability as well best services from our side for the growth of your business. 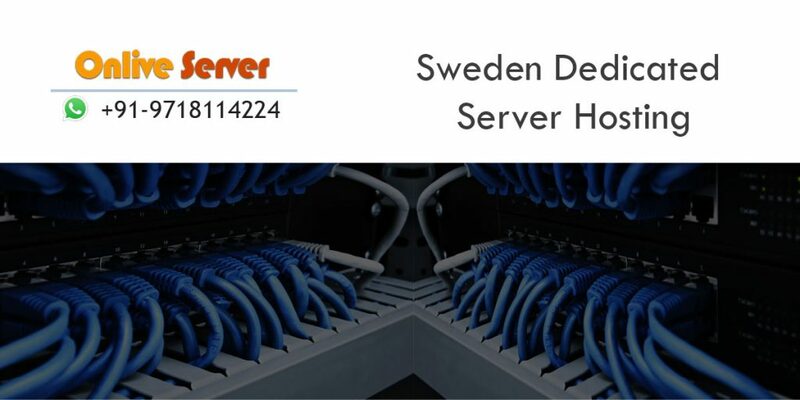 We always use top quality hardware and software in with Sweden Dedicated server. With Onlive Server you will get the blazing fast network speed, flexibility, reliability and much more for your hosting server. Our dedicated hosting servers gives full support to your hosted websites so it’s just like Internet Backbone for your complex websites and applications. Apart from dedicated features we also take care about your server’s Safety & Security. From Safety & Security purpose we give you firewall protection, do Server virus scanning, and protect your server from malicious software like viruses, worms, Trojan horses, ransomware, and other malicious programs. For the safety of your server’s data, we take the backup of data at a regular interval of time and keep it far from your own data center so in the case of any disaster you can easily obtain your data again without any loss with Sweden Dedicated Server hosting. We provide Finland Dedicated Server Hosting, USA Dedicated Server Hosting, UK Dedicated Server Hosting, Switzerland Dedicated Server Hosting, France Dedicated Server Hosting, Italy Dedicated Server Hosting, Spain Dedicated Server Hosting, Germany Dedicated Server Hosting, Europe Dedicated Server Hosting and Netherlands Dedicated Server Hosting Etc.